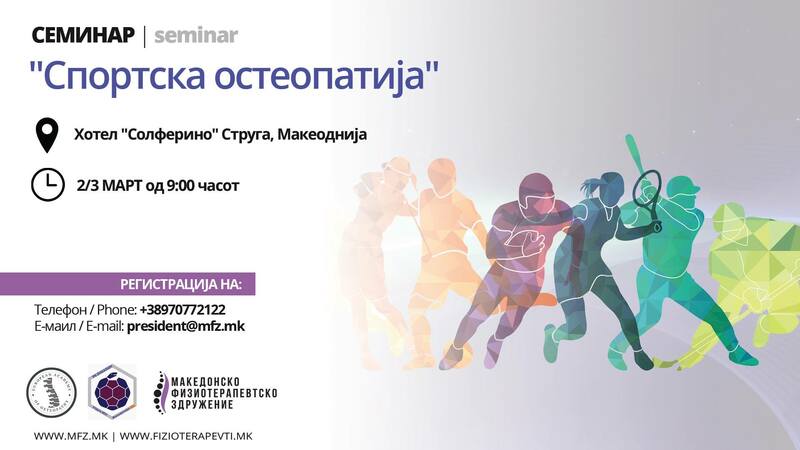 02мар(мар 2)09:0003(мар 3)17:00Seminar "Sport Osteopathic Approach"
Sport Osteopathic Approach is a theorical and practical course of Osteopathic Manual Therapy, where it is taught a specific protocol, made of HVLAT (High Velocity Low Amplitude Thrust) manipulative techniques, Myofascial and Release Techniques, dedicated to health professionals that treat on the professional sports field. • Perform correctly and precisely the specific HVLAT and the Myofascial and Release Techniques. The course spreads in n°2 days of a total 14 hours lesson. Protocol generality, clinical and neurophysiological aspects. Trainer’ s demonstration and practical sessions. dealing with the training in manipulation techniques for over 10 years. He is an Osteopath registered in France where he attained M.D. in Osteopathy and Pediatric Osteopathy,and work between Italy, where he has clinics in Milan, and France. He has refined his HVLAT Techniques (Osteopatic, Chiropratic, Manual/Practical Medicine, Orthopedic Manual Therapy and Gonstead) from Europe to the United States. Personal Osteopath of international VIPs, one of the Top experts on Structural HVLAT Techniques with more than 400 techniques of personal knowledge. In the last year he had a blow of success about his broadcast activity on social media INTSAGRAM. Had experience of collaboration as an assistant in the Laboratory of Human Anatomy at the I.U.S.M. (Istituto Universitario di Scienze Motorie). postgraduate on Emotional Somatosensory Osteopathy. He is a Structural Osteopath and a deep expert in osteopathic didactics. He has practices/firms/clinics in Rome and Milan where he treats many celebrities VIP and he often appears on tv programs like “IL MIO MEDICO” as an expert on his profession.